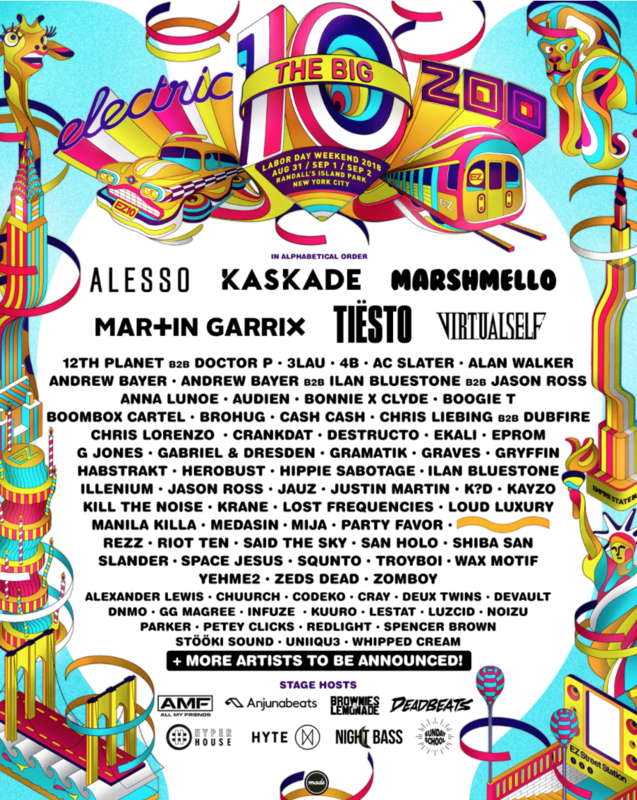 Electric Zoo has unveiled its third phase line-up and joining previously announced headliners Kaskade, Marshmello and Martin Garrix will be Tiësto, Alesso and Destructo. The iconic US festival will be celebrating its 10th anniversary this summer and will be returning to Randall’s Island on Labor day weekend from 31st August to 2nd September. Other acts joining the bill include Chris Liebing, Dubfire, Redlight, Chris Lorenzo and more who will be providing a nice counter to the festival’s usual EDM focus. To get you in the party mood, Electric Zoo has created an extensive Big 10 Spotify playlist which you can listen to below. For tickets and more information on Electro Zoo 2018, head here.